On the first day of university my fellow freshmen were excited and anxious. I wasn’t. Some were excited because being in university was an achievement. It wasn’t for me. Some were excited because they would be getting a university degree. I didn’t care. Some were excited because they could now breathe in freedom away from home. I had always breathed in freedom at home. I grew up without many rules but with a reliable value system (thank you mom and dad, I appreciate your style even now). Some were anxious because this was a big step towards their dreams. It was a diversion to mine. Some were anxious, trying to figure out what university was all about. I thought I knew all about it. All were excited, anxious or both. I wasn’t. I didn’t say I hated being there on the first day, I said I was just not excited nor anxious. Three years prior to starting, I already knew I didn’t want to be in university. I knew I wanted to be an entrepreneur but three things kept me on the path towards university. Firstly, my dad was a super academic. He was quite liberal having lived, studied and worked in the US and Europe for more than 15 years but I didn’t want to stretch his limits. Secondly, I was a straight A student and where I come from, straight A students go to university and study medicine! The first two reasons were not very important because I was then as I am now, a stubborn head. The third and most important reason is that I didn’t know what steps to take to become an entrepreneur besides having started my very first business venture at age 9. It’s saddening to note that persons with an ‘entrepreneurial bent’ still face this problem in Zimbabwe and to varying extents around the world to this day. This is why I do what I do. I am all for educational reform. We should increase alternatives to the educational path otherwise entrepreneur birds like me will not fly. All that said, I started university that day. I was looking forward to it. Not excited, not anxious but looking forward to it. I didn’t apply for a business major, I applied for a Bachelor of Science in Food Science and Technology. Why? From the time I was in junior high, I knew I wanted to start and run businesses but I was also very sure I didn’t want to go to business school. I had observed that few business graduates were effective entrepreneurs. I reasoned that business school taught how to think, taught the rules. I didn’t want rules, I didn’t want limitations. Largely, I was right. There is need for our business schools to be incubation hubs for entrepreneurs, not boot camps for bureaucrats as they currently are. So I did Food Science because I loved chemistry and was good at it. So what was I looking forward to? I was looking forward to an environment where my mind would be stretched. I was looking forward to becoming a thinker, I was disappointed. At university I was not expected to think, in fact I was not allowed to. The environment was suffocating for an entrepreneur bird. If I wanted to pass, I had to recall verbatim from “prescribed texts” or I had to copy. I am not the recalling guy and I am a responsible Christian who frowns on cheating. I struggled! To be honest I tried cheating once (don’t judge me, I repented) but it didn’t work, my poor sight ensured I got caught. Free thinking was out, I couldn’t cheat. What was I to do? Like a good entrepreneur I adjusted to learning by recollection but disappointment was round the corner. I was being asked to recall outdated stuff!! I am an entrepreneur, remembering current things is bad enough because I am continuously seeking for and trying to introduce something crazy new! Now what the slap was this?? My whole time at university was a contradiction: a wrestling match between who I knew I was and what learned academics were attempting to create me to be. I then began doing what an entrepreneur does: making money. I acquired a fast food business that operated on campus (without money). I pooled the greatest minds in my class including a lecturer to start a consulting business offering services to startup food processors. I worked with friends to organise concerts on and off campus (these flopped dismally). These were the enjoyable and really useful sections of ‘my curriculum.’ Even though I had these silver linings, my overall university experience was not enjoyable at all. The system was too rigid and out of touch with anything current/modern. I was suffocating around students who only cared about obtaining a paper that falsely proved that they were learned and faculty who encouraged us to copy answer scripts of their past students (we called these archives). I was studying science in the most unscientific way imaginable. I wonder what your college/university experience was. I hope not as bad as mine and I hope things are changing in our learning institutions particularly as far as the grooming of entrepreneurs goes. Techzim’s never ending jihad against tertiary education is getting a little stale to be honest – y’all like Zimeye with Magaya – TAZVINZWA KANI no need to labour the point!
? haa jihad here amana! it’s clearly that important to us here! Hahaha Jilhad! Maybe we should shut up now and get down to action. What action now? Haaaaa the techizim fatwa on uni education is serious. Is Udemy and the lie paying you? You are proof that being intelligent is not being smart. Smart peple know the value of knowledge whether outdated or not. And as far as business goes hakuna zvinyowani sha, everything we do is just based on what other people ahead of us discovered and wrote about.You cannot re-invent the wheel,simply make it faster. We just innovate!. I also think its rather toxic that a major source of news and information like you would encourage such ignorance, you have a weak competition to thank for that. NB: Local universities do have entrepreneurial modules and in some instances full degrees. I am afraid I don’t agree there Blaz vangu. I do acknowledge that I am ignorant about a lot of things and I always want to keep seeking more knowledge. I hope though that I will never get to a place where I think I know everything, imagine the disaster wrought by an ignorant person who thinks they know everything! Dude, like one person said, you were just hustling. And Zimbabwe is full of hustlers of all sorts. Tell us how these varsity experiences helped you to start and grow X business doing Y with an annual turn over of Z as of this past financial year. We get it, you hate college especially UZ. On a serious note, rather than making this an uber-biased and opinioned topic why not invite college success stories tinzwewo why university is so great. Ini I did my computer science degree, post-grad diploma and professional certifications and have a blossoming career. I’m more than satisfied with my 4 years at uni. Nothing is ever black and white. I think by being this one sided you are misinforming our younger brothers and sister. Which is grossly irresponsible of you. Not everyone is a born entrepreneur, let alone wants to be one and it’s perfectly fine to be a worker bee hako enjoying the fruits of your academic labour. Yaa thus true! I agree with him but sometimes we also need stories from the other side. Real experience not those who study through their offices. Point taken about bringing in universities to discuss about what they offer etc. Also note this is strictly an opinion piece based on personal experience. Why I did not enjoy university not why university is not enjoyable. Yes, not everyone is an entrepreneur but entrepreneurs must also be catered for otherwise the route to business success will forever be a trial and error which is too expensive for our entrepreneurs but more so for the economy. Hahaha blaz you are funny!!! The person teaching is just there to get the ball rolling,the rest is up to you. Entrepreneurship being taught in Zim institutions has its own modus operandi. I figure what you are trying to say is that the person has to have a track record being good at it (entrepreneurship). For that I ahve one thing, say hi to your A level chemistry teacher for me. I have to agree with the author here. In Zim we have a tendency to value the paper more than actually learning what will be of use in the real world… When I was doing my masters, I would constantly piss off the lecturers when I pointed out the irrelevance of some things we were learning and why it wasn’t of much use. most of the students didn’t really care and couldn’t be bothered to join my protest… they just wanted to get their masters and hopefully get a better job. Small wonder why Zim is still classified as an extremely poor country despite being very “educated”. Have a look at how universities such as Stanford and Harvard deliver their masters and phd courses and u’d understand that we still have a long way to go. in the western world, universities are a crucial cog in driving innovation…. what innovation do any of our institutions have to show? Tinashe – your piece is a breath of fresh air and you brought out very important issues. I quite agree that widening the options by e.g. adding practical subjects will better prepare students for the future, like the German tertiary educational system. From the comments, you can tell that some contributors perhaps feel that they “finished” chikoro – very terrible mistake. This “attribute” is perhaps why some companies prefer to hire recent graduates. Kudzidza hakuperi – course ndiyo chete yaunopedza. Good hunting Tinashe – I don’t see why you can’t realize your dream. I like that people are passionate about education the way they are. My only fear is that perhaps this passion is around preservation and defending qualifications we have already ‘acquired’ instead of passion around critiquing the form and committing to continuous improvement. Just because it’s an opinion piece doesn’t mean you should not address the other side. You should state your case while rebutting the ‘positives’ of the other side. Otherwise we might as well spend our time on http://www.mafaro.co.uk because the level of contribution to my learning and understanding of the subject under discussion becomes minute. The article’s statement “I didn’t care.” says it all. If anyone thinks that an uneducated person can succeed as an entrepreneur, think again, regardless of the rare outliers who do. As for the desire to think freely instead of memorize, one needs a foundation of basic knowledge in any field of endeavor. If you do not trust your teachers to give you that, go to another university. If you do not respect your teachers, remember that disrespect for your elders keeps you from building the relationship that is necessary for learning. Reform me man, and try again. Opinion is not bound by laws of addressing both sides fairly or objectively let alone fact or knowledge itself…lest it be not opinion anymore..it’s an uneven view skewed towards the writer’s belief/view regardless of fact/knowledge…lol..
Next up they’ll tell you kuti ASHE International College has relevant content in their programs (taught by reputable and experienced Individuals). It would be interesting to know which business strategy TechZim uses. Why? It would explain the basis to most of these “opinion” pieces. Are they Consumer oriented? or just product (in this case content oriented),assuming that readers will find everything they post to be gold. Being consumer oriented means you serve the needs of your consumers, being product oriented on the other hand is a take it or leave it type of situation.This works in some instances (luxury items), but I doubt it serves the purpose of online sites like yours. You are already serving a niche. Don’t niche your niche. The education you get at the University is a weapon. It’s not going to work on its own. You have to make it work. Whilst you are busy crying that it was useless someone is building an empire using the same MBA from UZ. I totally agree with the author, and also to add, yes the degree is a weapon but a bad weapon will not be as effective as a great weapon. 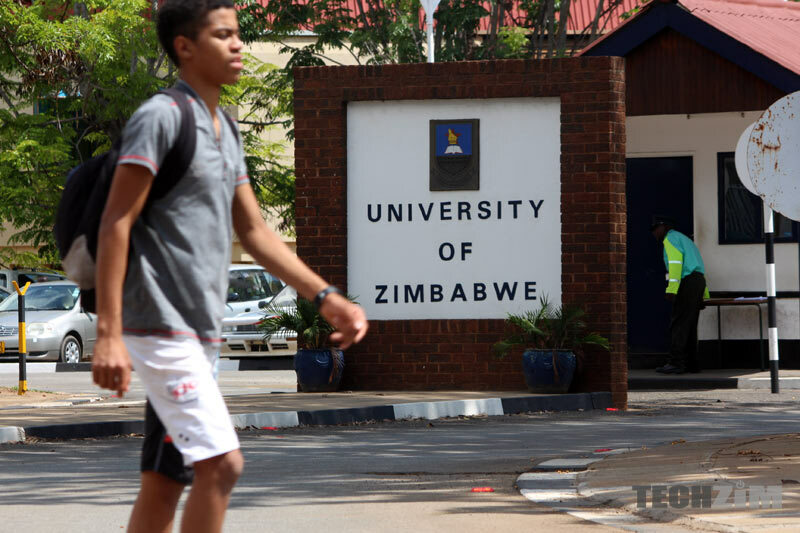 I studied Computer Science at UZ, did postgrad certifications, I continue to study and stay up to date but one thing I can say is truly UZ (and other Zim institutions) is teaching outdated stuff. When I got my first job I was shocked by how much I did not know and how much I had lost learning stuff that I have never used in the industry eventually, in my 10 years of experience. This author is highlighting something that is indeed significant and not just a hate piece against formal education. Of Course in the end we all just have to use the weapon we are given no matter how ineffective it is. There is much to be said about lecturers being up to date and teaching modern techniques that are superior to older ones. This is true as well for teaching modern computer languages instead of older ones. Still, one must recognize that basic principles are important. An example would be binary search as a beginning to learning data search techniques. That is one example of something basic, although examples should be given in a modern language. Binary search is something that has been around for decades, since the days of Algol and Pascal at least. An even older principle is formal logic. Computers are nothing more than boxes filled with on/off switches. They are the perfect mechanism for implementing formal logic. Formal logic also goes by the name Aristotelian Logic. Aristotle lived during the days of ancient Greece. In the 1800s George Boole invented Boolean Mathematics, an approach to expressing formal logic in a calculable way. Put together, these form the basis of everything a computer does. Once you understand those principles, computers are easy. I recommend u go n just visit paHIT. The small class sizes (less than 25 per class) n the youthful but very knowledgeable staff with Masters in areas ranging from Big Data to cyber forensics is smthn chausingawane anywhere else. I’m obviously biased as a student but ndekupi kwaunowana maLecturer anoita insist kuti muvhure maGithub Account and YouTube channels to upload and share new concepts u learn. Oh I mentioned HIT in the comments somewhere. It’s my fav local uni. I have worked with alumni and students from most local unis and I found HIT folks to be really well rounded and equipped. It got me to check the curriculum etc and it seemed quite good. I particularly liked the cross faculty collaboration project. It prepares students to accept diverse opinions and approaches…. These HIT dudes they pay outsiders to do their projects! Whilst your opinion is respected, why not do research on what is being offered in Universities in other countries before putting pen to paper? Having a bad experience in one institution is not enough for you to conclude that worldwide the education system is the same. There are so many universities that offer business courses which equip their students with understanding and knowledge that cannot be acquired on the streets. Whilst i will give you the respect that is due for being entrepreneurial at a young age, is the knowledge you acquired enough for you to grow bigger in your business endeavors? If so, then kindly share with us what you learnt that University could never teach you. And after you do that research, kindly state those in support of your argument as well as against and leave it for the reader to decide. Another thing, no need to be emotional and defensive in response to comments. It leads to some of us concluding that urikungoda kuzvisimbisa mukusaziva kwako. Don’t think there’s a need to apologise bro. I just think that there are people who can not accept contrary opinions to their own. theirs bound to be mixed reactions to an opinion piece and it can never be constructed in a way that pleases every one. I actually encourage you to write more of these opinion pieces so that we can continue to engage each other in these intellectual debates. Thanks for the encouragement. Yes, opinion pieces help expand our knowledge about a specific subject, about different view points and most importantly our knowledge about you our readers. Debate is a great way to nurture tolerance and respect. I had to apologise though for coming out as emotional. Emotions colour constructive debate a very nasty colour whether it’s a reader cursing other readers or me showing disrespect for a different opinion. well that’s what it is we produce very good people entrepreneurs workers etc. but the system leaves a level where people especially lecturers can be half passed about everything. so we need more stimulating education that’s not based on just achieving grades. let’s. e honest I’m a it major a d guess what I once spent 1 year without coding jack until I left and did certifications and after school experience. plus think as long as you learn 55% of the needed k owledge for the Jo. the rest is up to you and the job you get. Someone pointed me this article you wrote with so much gusto of how ” useless university is to young people”. I a so sorry to state that I am quite disappointed with you.I hope you are not trying encourage young people not to attend college. The fact that you are appearing clever and opinionated is because you went to university. You may not realize what college did for you but look around and see how different you are from your friends who did “nothing” after high school. Being an entrepreneur is an in born thing. You can’t teach everyone to be an entrepreneur but those who are entrepreneurs will always find help at college. We have entrepreneurial classes in the Faculty of Science at UZ where I presume you went to. We have two courses done by all faculty of science students. Entrepreneurship at first year and Business Management for Scientists at second year. There are entrepreneurial classes out of class like those organized by ENECTUS previously known as SIFE (Students in Free Enterprise (SIFE)). Other students don’t want to be involved and they talk too much. All universities in Zimbabwe have teams which compete and the winning team goes to the world cup. Where they compete with other students from across the globe. I remember the UZ once won the SIFE World Cup some time back. SIFE have been there for a long time and I believe that it was there when Tinashe Nyahasha was a student it was there. He does not talk of it in his article because he wants everyone to think that university is useless. At UZ we have Entrepreneurial classes organized by the dean of students. These classes are done by paNhari. Students do practical classes and come up with ventures. I have seen students who have got some funding from paNhari to prop up their ventures. All these things students who are open to ideas join in and try out new things. However most students want to study and get distinctions and go out look for jobs. We can’t blame them. that is what they want. So please before you go out there and write misleading opinion pieces, do your research and see if what you are writing help young people. TechZim is a widely read site and you afford writing articles that discourage education. I am very disappointed with your article to say the least. To all students at colleges please get involved in ENECTUS and other clubs at colleges and learn people and business skills. We can’t teach you all business skills in class, otherwise it will stop being ” Food Science, or Chemistry” Will it. Tinashe Nyahasha propose you visit universities and see what programs they are doing outside class to instill interest in business ventures in students. Then after that please write an ore informative article that will encourage students to go to university and become involved in clubs and other extra curricula activities where they can learn life skills. I believe you can do a good job at that. Just rechannel your energy towards better advise. Thanks you. I must first say sorry that you were disappointed by this article. I must also say however, this article did NOT in any way offer advise to students or aspiring students. If you read it carefully and you follow the comment thread you will realise the article is about MY experiences. Those experiences are not squarely attributed to the university (although there is some responsibility there) but I share the responsibility too in that I went to university against my desire not to do so (right or wrong) and obviously that has a bearing. To say I was not disappointed by the issues highlighted will be a lie and it is important for Zimbabwe as a nation to become a place were individual experiences and opinions are shared whether the opinions are write or wrong- that is the scientific way is it not? I do not deny that my stay at UZ influenced who I am today in multiple ways. Some of that influence is exactly what I pointed out here. I take your advise on engaging education institutions and discussing their programmes. This new article however will not be about how Tinashe Nyahasha did not enjoy university but about what local universities are doing to nurture entrepreneurship… The story about Tinashe Nyahasha enjoying or not enjoying university will remain forever the same until I go back to university perhaps and have a different experience. Finally, I am open to a debate and discussion in person for the purposes of developing a narrative around education in Zimbabwe particularly in the context of technology and entrepreneurship. I understand your point of view. However every article written in a public paper like TechZim will always remain educative whether that was intended or not. If I write an article on how much I hate Tinashe Nyahasha in TechZim. Whether I like it or not, two or more people will hate Tinashe Nyahasha after reading my article. The pen directs opinions and knowledge. So whatever you guys write I guess it’s meant to educate, unless you tell me that TechZim is slowly turning into a social magazine?Young people will always come to TechZim to seek advice and new knowledge, and today you taught them that university is a waste of time. Whether that was your intention or not, but today you taught that. Mr Nyambos deserves a bow Tinashe. Your failure to utilise resources at the university will never make the university a place of less importance. You may write another article on how you did not utilise these resources. It’s OK to look back and see missed opportunities. I myself became a member of SiFE at end of Level 3 and l learnt a lot on entreprenuership etal even though the official class curriculum never mentioned these clubs. Like l said before its a weapon. There are no bad weapons only inexperienced users. A spoon in the hands of a ninja is a murder weapon whilst in some hands it can only feed porridge. Of course Mr Nyambo deserves a bow, as does everybody who is contributing to this debate. I could not talk about SIFE because I was not part of it whether or not I should have been or whether or not I did not utilise the resource- the narrative had to remain about my experiences otherwise it would have been titled diffrerntly. lol. Time would be better spent at .com . Tinashe is selectively being ignorant. And with as much gusto as you had at an earlier age for being an entrepreneu you shouldn’t have gone to university in the first place. Sir Richard Branson thinks so too https://www.virgin.com/entrepreneur/richard-branson-entrepreneurs-dont-need-higher-education-im-proof .You got played by the system, did what was expected of you. For most entrepreneurship is passion. You follow passion nomatter what and your passion will follow you. Being passionate to that extent is wise. Be like passion. Also, what they don’t tell you about college dropout entrepreneurs is that the time they got out they would have gotten enough out of the system to equip them for their mission. There is no stipulated timeline. I may feel that I need to go through the four years of varsity to be ok to go on my own,and thats ok. I amy feel I need just a year, or maybe that after A level Im set to go. It all depends on you. The Bizos experience seems more plausible (amazon.com) – try, try, try again. Fail, try, try, try again. Loop until result changes to success. Applause. Loop again. It just appears to me that starting a business carries high risk of failure, time (that you cannot quantify upront), financial resources (never enough money around) and the high risk of failure (ever hanging over your head). Passion will give you some inertia, but I wonder if it will provide the stamina to give you (or the business) staying power. Maybe that’s why there is no MMM – Masters in Making Money!! There is more room for improvement. We could start by introducing more business incubators at primary and high school level….